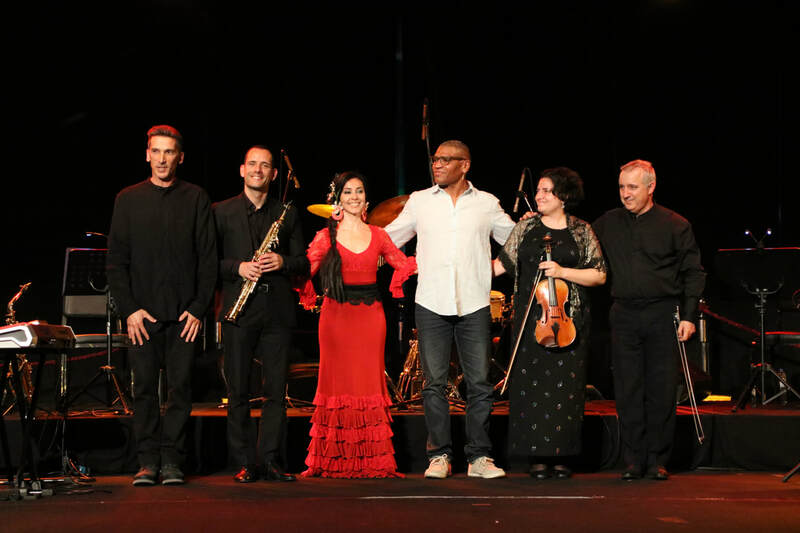 ​The UniVersus Ensemble is a musical group created by José Manuel Freire after the publishing of the "UniVersus" project. This literary and musical work, which was presented to the public in 2012, has several influences and languages. The concerts feature original repertoire that appear as sound illustrations of the subjects addressed in the book. The Ensemble's performances are intended to inspire the public into connecting to the sacred dimension of Life, the Being and the Universe. In these troubled times, let us look for those moments of intimacy, allowing us to experience true rapture and introspection. Ongoing show in Danza Duende for three dancers. Carolina Fonseca, Cristina Manrique and Mónica Roncon present a show about conflict and war in its broader sense, and on how to work ourselves through pain and suffering. The second presentation took place recently in Barcelona at Tinta Roja, under the name ALMENTO. Dances and Music from all over the world, but also on the very core of the human being, through the heart of arts as a path for education.